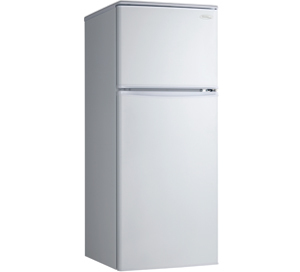 This classy mid-size refrigerator is ideal for apartments, cottages, offices and wet bars as it provides ample storage but takes up a minimal amount of space. The unit offers 11 cubic feet (312 litres) of total cooling space with a generous 8.3 cubic foot refrigerator and a 2.7 cubic foot freezer section. This appliance runs smoothly and quietly with an accurate mechanical thermostat and frost-free operating system. It offers plenty of storage room for tall bottles as well as a glass-covered crystal vegetable crisper for your favourite veggies. 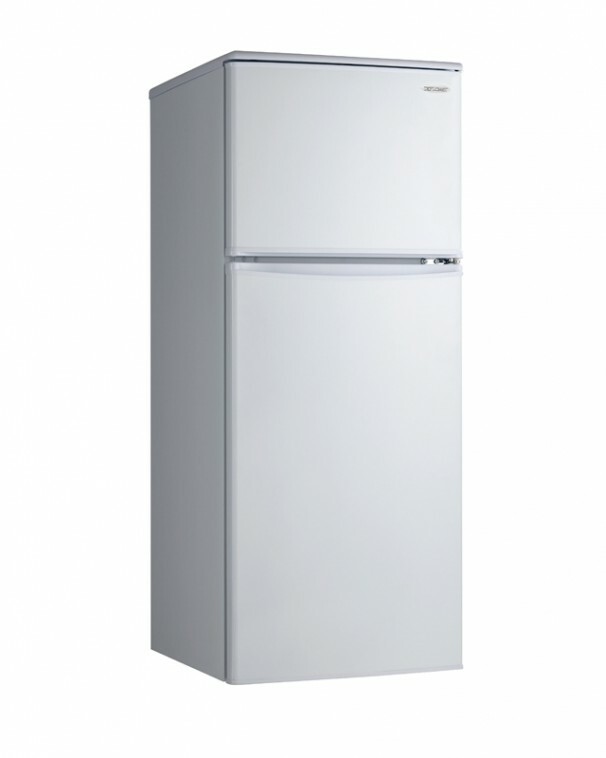 Maximum storage space is easily created due to the fridge’s three adjustable wire shelves, and integrated door shelves. The apparatus comes with an attractive integrated handle and a reversible door hinge which allows you to open the fridge from the left or right side depending on your preference and needs. This elegant unit also features a scratch-resistant and easy-to-clean worktop as well as a bright interior light in the refrigerator compartment. The appliance comes with a 12-month warranty on parts and labour with in-home service.